Discs ain’t cheap- especially if everything you throw is premium plastic or rubber that runs $15 or more a pop. And we all own some that would fall into the category of ‘it’s not the money’; discs that are worked in just the way we want, discs that are out of production, in high demand, hard to replace, or have sentimental value. Equipment is part (albeit, in my opinion, a minor part) of what enables us to perform our best, and if our most important tool is suddenly gone, our game is likely to suffer. For all these reasons, it makes sense to have a strategy to reduce the lost disc factor. Below is a collection of observations I’ve made over time and some changes I’ve made based on those observations. There is an unwritten rule in disc golf that a person is less obligated to try to find the owner of a found disc when it is completely devoid of a name, number, or identifying mark. So it naturally follows that unmarked discs get reunited with their owners far less often than those that are marked. But lets dig a little deeper. Everyone approaches labeling their discs a little differently, so what type of markings produce the best results in terms of getting back the lost little lambs? This collection of discs from the author’s bag show the consistency and readability of his ‘personal branding’. Look closely, and you’ll notice that some need a fresh coat, which they received right after the photo was taken. Photo by Jack Trageser. Name and Contact Info- People who find your disc that are inclined to try to contact you personally can’t do that if you don’t put down some contact info. I used to list my email address in addition to my phone number but no one ever used it, so I just stick with the phone number. That way they can call or text, hopefully right when they find it. Both name and number should be large and clear on the top or bottom of the disc (not the inside rim). Make it big enough so it won’t get erased or obscured through wear-and-tear, it’s easy to read, and also discourages finders from becoming keepers (those who may be temped to erase it or write over it). In this photo of multiple discs, the lighter orange disc was lost, and a friend noticed my faded JACKT on a photo on eBay. The perpetrator had attempted to erase it but wasn’t quite successful (I re-did it, in a more creative manner for fun). Good thing, as I got that disc from Steady Ed himself and it still serves active duty as a finesse roller. Personal Branding- This one has gotten me back numerous discs I would not otherwise have seen again. The key is to make sure the way you brand your discs is very consistent, and fairly large. 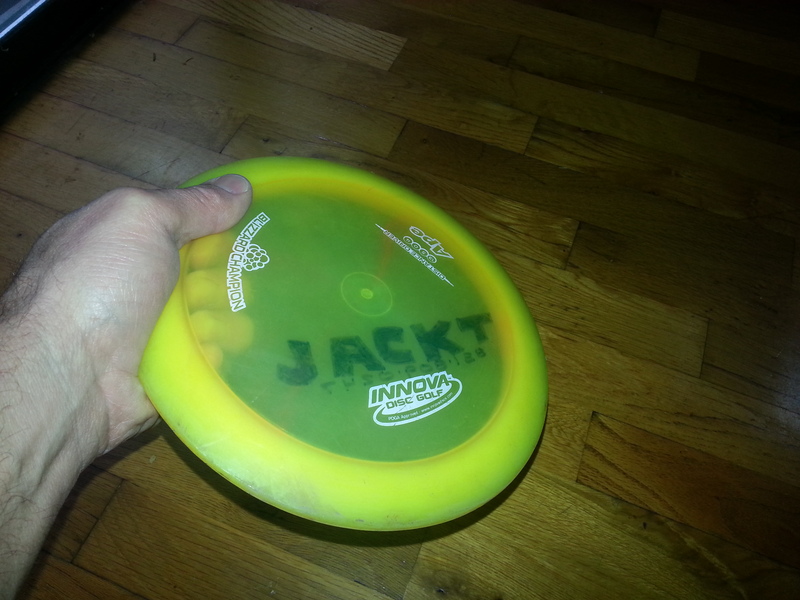 People I play with even occasionally remember the way I write JACKT on the underside of all my discs, and get them back to me. 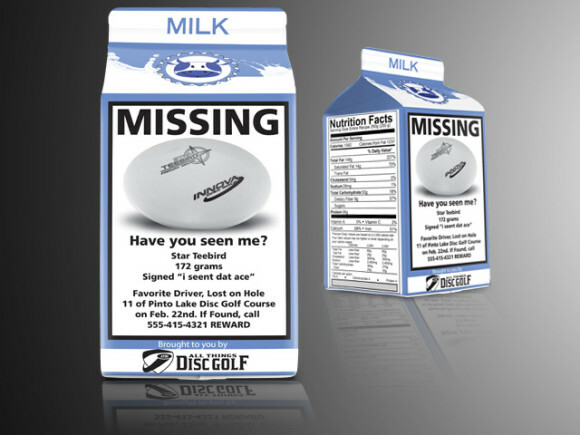 I’ve had them spot my discs on the course, in Lost-and-Found, and even in the hands of other players! My favorite story along these lines was when someone I don’t know approached a friend of mine (RIP, Slingshot Steve) and asked “What do you think of this disc?” Steve, quickly spotting the JACKT, replied “I THINK it belongs to a friend of mine,” and snatched it out of the guy’s hand. The key is to come up with a way of writing your name that is readable, unique, and simple enough to replicate on each disc. Even pretty see-through discs must be branded. The author writes backwards on the bottom so it reads correctly on top. Photo by Jack Trageser. Practical over Aesthetics- Golf discs in your bag are there to do a job, not look pretty. I know it mars the beauty of a translucent disc to write your name on it in large, bold letters, but you gotta ask yourself what’s more important- Keeping the disc pristine, or keeping the disc . . . period? It’s like not wearing a helmet riding a motorcycle because you don’t want to mess up your hair. And no, I don’t think I’m over dramatizing (much) with that analogy- we’re talking about our discs here! Whereas the first point dealt with retrieving discs from others who find them, this one concerns being able to find them after an errant throw. The color of a disc significantly impacts the chance of spotting it on the course. You players who frequent wide open courses, or courses where the terrain is all manicured, regularly mowed grass might feel they can ignore this section- but read on. 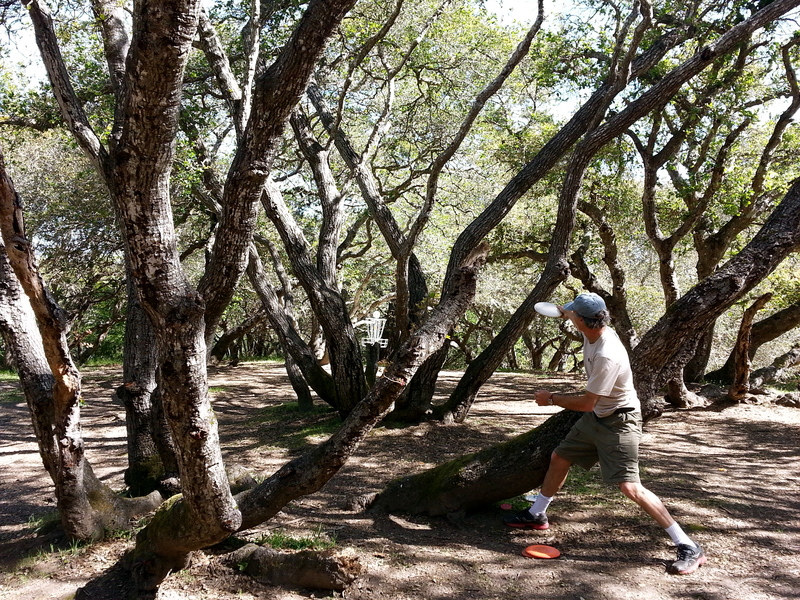 Disc golfers love to travel to new courses, and chances are you’ll at some point play courses like the ones I frequent in Santa Cruz and Monterey, CA. Thick bushes and ground cover, tall grass and dense, gnarly trees abound, and that’s just on the fairways! Seriously, though, playing here has forced me to take ‘spot-ibility’ into consideration when selecting discs. Whenever possible, I choose discs in solid, bright, unnatural colors. That way I can search for the color more than the shape of the disc. Kind of like those old natural selection experiments we read about in textbooks using white and dark moths and white and dark trees- except in reverse. The discs that stand out most are the ones that will survive. Quick- how many discs do you see? Which one caught your eye first? Enlarge the picture if necessary. Especially when only the edge is showing, bright colors really make a difference. Photo by Jack Trageser. Black, dark green, and any discs in earth tones that blend in with the terrain are obvious loss-risks (although manufacturers still make them and people still buy ’em). Another kind of easy-to-lose color is more surprising; even if the colors are bright and unnatural, tie-dye and really any multi-colored discs are hard to spot as well. The variegated patterns help them blend into nearly any background. Tie-dye shirts jump out at you, but not tie-dye discs. Go figure. We’ve covered a couple things you can do in preparation of playing to reduce lost discs. Now let’s examine a few habits and activities that tend increase the separation of player and disc. Sometimes when we throw a really bad shot and know it immediately, it’s hard to watch. I really do think we sometimes turn away or cover out eyes not to be dramatic, but because it’s painful to see a well-planned shot gone bad. I’m guilty of this as much as anyone, and it’s a situation that sometimes leads to a lost disc. If I don’t see exactly where it lands I have less of an idea specifically where to start searching for it. Where I play, hiding places are numerous and discs can get lost on even the most innocuous of throws. So I try hard to watch my disc closely, no matter how ugly the result. I try to remember to commit where it lands to memory, and if it disappears from sight before it comes to rest, I try to note the trajectory and some type of nearby landmark as a reference point to begin the search. The word ‘try’ was in italics because occasionally I note those things but forget them immediately, making the whole exercise pointless. The trick is to pay attention to where your disc goes and retain that information until it’s time to look for it. Here’s another one. Ever thrown a drive – maybe just before dark, or warming up for a tournament right before it’s about to start – and get the impulse, because of the unsatisfactory results, to throw one more? A little voice warns ‘Don’t do it!’ but you ignore the warning, launch the disc, and almost immediately regret it. A disc golf version of ‘one too many’, it seems the odds of losing the disc in situations like this for some reason dramatically increase. The only advice here is to listen to that little voice, and remember that as Shakespeare wrote in Henry IV, ‘discretion is the better part of valor’. Let that disc live to fly another day. A variation of this affliction is known as ‘throwing the bag’, in which one is impelled to throw every disc in one’s quiver- usually on a particularly awe-inspiring hole. Two things can go wrong here: Either you throw so many discs that you forget one in the search-and-rescue effort, or you throw so many that the odds that at least one gets lost increases. If you can’t resist throwing multiple discs on an irresistible hole, try to note and remember the location of each disc you throw. The odds that one of your babies gets lost on its own won’t go down, but at least you won’t arrive at the landing zone with that ‘uh-oh’ feeling. The subject of playing new courses while traveling was mentioned above, but is worth revisiting. If you’re playing a course you’ve never played before – especially if you’re just passing through and likely not to return any time soon, and especially especially if you’re playing solo – consider leaving your most precious discs out of the bag. 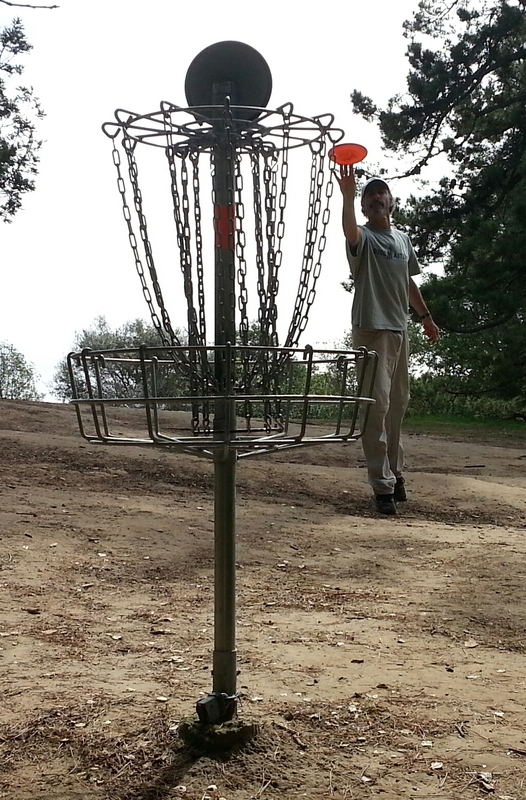 When you don’t know the course it’s much easier to lose a disc, and when you’re solo the odds of finding it go down. Having a local as a guide helps quite a bit, but if you do lose a disc on that faraway course, odds of having it returned are not great. Instead, bring some ‘stunt doubles’ that won’t hurt as much to lose. Your score may suffer a little, but that sting is temporary compared to the loss of a key disc. As a side note, it should also go without saying that being in an altered state of mind is often a contributing factor to lost – or forgotten – discs. To each his or her own, but play straight-edge and you’ll be amazed at how many fewer discs you ‘lose’. Disc golf should be enough in and of itself, anyway. Golfers can easily get attached ( and that’s an understatement) to their equipment. The difference is, ball golfers bond with clubs but it’s the balls that go flying away into the horizon. 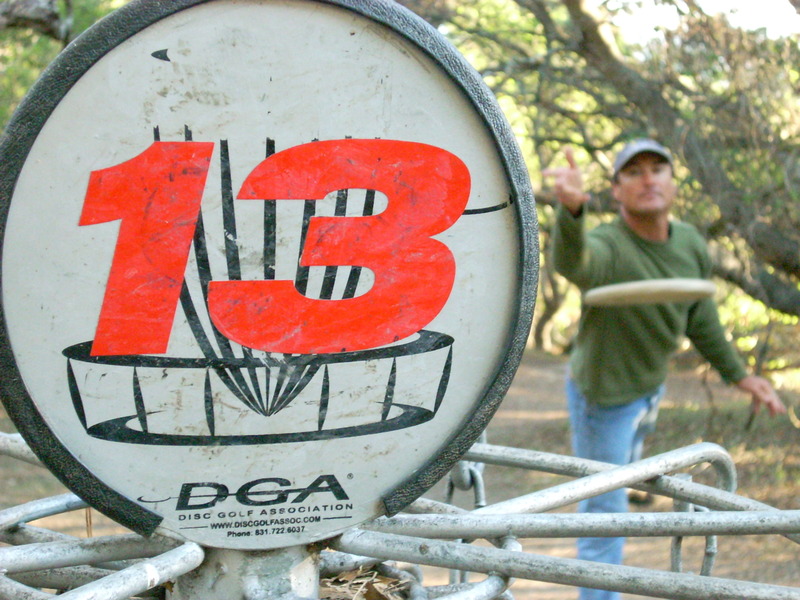 In disc golf, there is only the disc- and us disc golfers can bond with one mighty quick. If I can prevent just one separation of player and disc, then this post was worth the effort. Conventional wisdom says putting is a crucial facet of any successful golfer’s game- and conventional wisdom is correct. No one who has ever spent a round crushing long, accurate drives only to score poorly because he couldn’t hit a putt would argue. 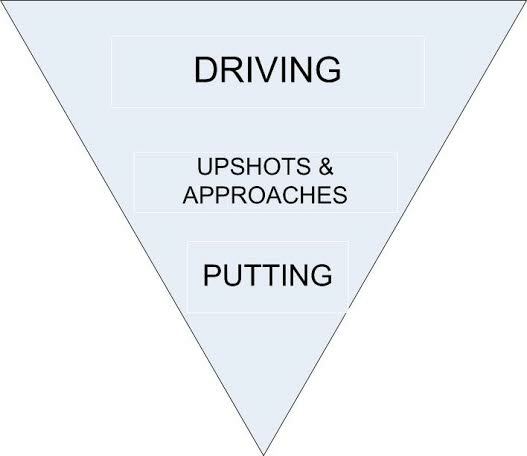 Yet few players practice putting with a purposeful, regular routine. If you’re reading this you are likely someone that has at least a moderate desire to shoot lower scores on the disc golf course. Therefore, if you’re not systematically working to improve your putting skills and consistency, the question is why? One logical answer is that you’ve never heard a specific reason or reasons that resonated strongly enough with you personally. It’s one thing to agree with the logic in a general, vague sort of way and quite another to be able to connect the dots with a straight line that leads directly to a result you value highly. Therefore, the below 5.5 reasons to practice putting in disc golf are presented as a means of motivating more players to create and stick to a putting practice routine. This is the main reason to practice anything in sports. The bottom line. The ultimate quantification to judge whether practice is translating into desired results. It’s also where most players’ understanding of why they should practice begins and ends. In this case, we practice putting because the better the putting success rate in a given round, the lower the score. This is observable, cause-and-effect, incontrovertible truth. Hit the putt and you’ve successfully completed that hole and can move on to the next one. Miss it, and (at least) one more stroke is added to your score. Which brings us to the relationship between practicing putting and improving one’s putting success rate in actual rounds of disc golf. Have you ever thought beyond the fact that practicing something makes you better at it, and asked yourself why? In golf, due to its unique psychological components, the explanation goes much deeper than simple cause-and-effect. Consider the next 4.5 points, which are really sub-points to this first no-brainer. Also, take note of how they either build on or connect to the other sub-points as well as this first basic fact. Naturally the more you practice something, the better you should get at it- with ‘better’ in this context being defined as being successful more often (making more putts). Nothing gives a person confidence they can accomplish something like knowing they’ve accomplished it many times before. Therefore, practice should result in improvement, improvement is defined by more made putts, and more made putts will naturally increase confidence in future putts. The second part of the maxim ‘Practice like you play, and play like you practice’ alludes to this. If you’ve put in the practice hours and repeatedly experienced what it feels like to hit that 20-footer, when it comes time to do it in a round you’ll be armed with greater confidence. ‘Play like you practice’ is meant to be a reminder during a round that you’ve made this putt many times in practice, so just do now what you do in practice. This point probably isn’t a big revelation to you either. Naturally experiencing more and more success will give a person increased confidence. But what, specifically, does that mean? Are there additional, ‘collateral’ benefits as well? Turns out there are! Practice results in confidence, and confidence results in more made putts. Photo by Rebecca Stark. The mental game is key to success in any sport, and in golf it’s nothing short of crucial. Confidence is one component of a good mental approach to golf, for reasons stated above. It gives a player the belief she can make the putt she’s about to attempt, enabling her to credibly visualize the successful attempt. But it also benefits the player through something that it eliminates or greatly reduces- namely stress. This is very important over the course of an entire round, much less a tournament spanning three or four rounds! Playing focused golf for hours at a time requires an enormous amount of mental focus and emotional energy, and stressing out over every throw quickly takes a toll. Practice results in confidence, and confidence results in less stress (and less misses, which also means less stress). 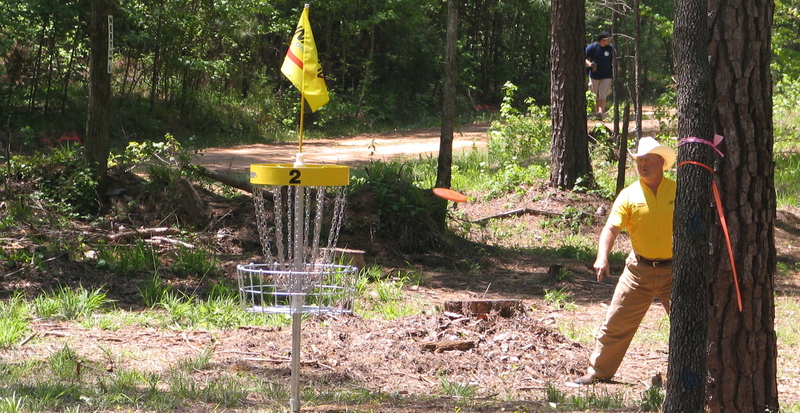 Smart disc golfers always consider the ramifications of the next shot before they decide on a disc, route, or approach. A basic example would be a right-handed player throwing backhand not choosing a super overstable disc on a left-to-right dogleg with a lake all along the left side of the fairway. That’s using logic to determine that a disc which will hook left into the lake is not a smart play. This logic extends to other variables as well, and the player’s capabilities should always be among them. You shanked your drive on a par 3 hole into the rough, and are looking at numerous trees and bushes between you and the basket, which is only 80 feet away. There are several routes to consider, with none of them being routine. You’re obviously hoping to get up and down for a par. If you have confidence in your ability to hit putts from 25 feet and in, you can imagine a 50-foot diameter circle with the basket in the center, then look for the highest percentage route that gets you anywhere within that circle (route B in the diagram). In this diagram, route A can get you right to the basket, but it’ll be tough for even a very skilled player to pull off and odds of execution are small; Option B is a more realistic option in terms of executing the shot, but will only get you within 25 feet of the basket. If you don’t have any confidence in your ability to make putts (but still hoping to save par), you’ll instinctively limit your consideration of routes to one that will let you get right to the basket (route A)- even if the odds of executing that upshot are small. So in this case, practice results in confidence, which in turn results in more options on the preceding upshot, which results in choosing a higher-percentage shot, which results in a putt you can make due in part to confidence, due in large part to practice. And to take it a step further, the stress reduction mentioned in 2.5 also applies to your reaction to shanking your drive, because you had the confidence that you’d at least save par due to the fact that your upshot only had to get within 25 feet of the basket (hey, you hit those putts all the time in practice!). That’s the inverted pyramid on shot selection. Disc golf is a played largely within your own mind (see famous Bobby Jones quote), as it’s just you against the course and the elements. It never pays to get wrapped up in what competitors are doing or saying, or how they are playing. Competitively, when it comes to other players the best thing you can do find is a way to enclose yourself in a bubble and allow only neutral interactions with others inside (like reporting scores on a hole, or responding politely but succinctly to casual chit-chat). If others can’t help getting wrapped up in you and your game, though, it’s no fault of yours. And the truth is, some players (to their detriment) allow their game to be affected by the play of others. When such players see a competitor who not only hits most of his putts but seems to know he’s going to hit the putt as soon as he places his mini on the ground, it can get to them. In this case practice leads to confidence, confidence leads to less stress, less stress leads to a calm, controlled demeanor, and that ‘never let ’em see you sweat’ demeanor leads to added stress for the other guy. Don’t feel bad! It’s not like you were trying to psyche the guy out. You’re just playing your game. What he perceives and how he reacts is his deal. This one has much more science to back it up. The Wikipedia entry for muscle memory has a great, succinct definition of the term which says in part “When a movement is repeated over time, a long-term muscle memory is created for that task, eventually allowing it to be performed without conscious effort. This process decreases the need for attention and creates maximum efficiency within the motor and memory systems.” Go to the wiki page if you want to understand exactly how it works, or just accept it as fact. The more you practice something (assuming you get to the point where you’re doing it correctly and getting the results you want), the easier and more automatic it will become. In a sense, muscle memory is part of the confidence that grows from practice, or at least it is the fertile soil that gives it the best chance to grow. I guess there is one more reason to practice putting. Fun! Have you ever seen the bumper sticker that says ‘The worst day fishing is better than the best day working’? If you love to play disc golf, committing 15 minutes a day to practice putting in a purposeful way can’t be too much of a sacrifice. This post isn’t about what kind of routine yields the best results, or which routine makes it the most fun or interesting. This is all about helping you to understand the many reasons it’s worth the while. Players and observers have long believed that golf courses manifest unique characteristics – personalities, really – that set them apart from one another. Unlike, say, football, basketball, or tennis, which have playing fields that adhere to strict and uniformly measured specifications, golf courses come in varying shapes, sizes, and topography. But ‘ball’ golf itself has limitations (primarily the need for a playing surface and contour that permits the ball to be struck with control and aim) which keep course design within certain constraints. The filed of play for disc golf, on the other hand, has far fewer limitations. 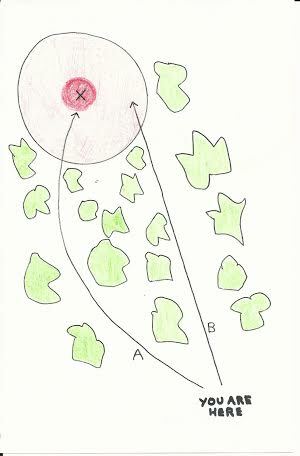 Players merely need grounds that can be traversed (which is of course subjective based on the fitness and preference of each player) and just open enough so discs can be thrown, fly free, and then be located (also subjective). This high level of flexibility and adaptability has resulted in courses installed in a very wide range of locales, which in turn provides the opportunity for more ‘personality’ associated with its playing fields than any other sport. Still following me? Simply put, disc golf courses have been placed in all kinds of crazy places, like thick woods, steep mountainsides, deserts . . . even in underground caves and on the side of a volcano. Which is awesome! It’s one of the reasons most disc golfers love the sport- the essence of golf combined with all the varietal landscapes nature has to offer. With all that variety, and personality, it’s only natural that disc golf courses would be a breeding ground for unique nicknames and colloquialisms. Whether it be a tree, a patch of nasty rough to be avoided, or an entire hole, disc golf courses invite metaphoric description. In a recent post I shared some unique disc golf terms my friends I and I created over the years, and asked readers to reply with some of theirs. We received a great response, and I’m hoping this post will do the same thing. I’ll share some local as well as well-known examples, and readers are encouraged to respond in kind. 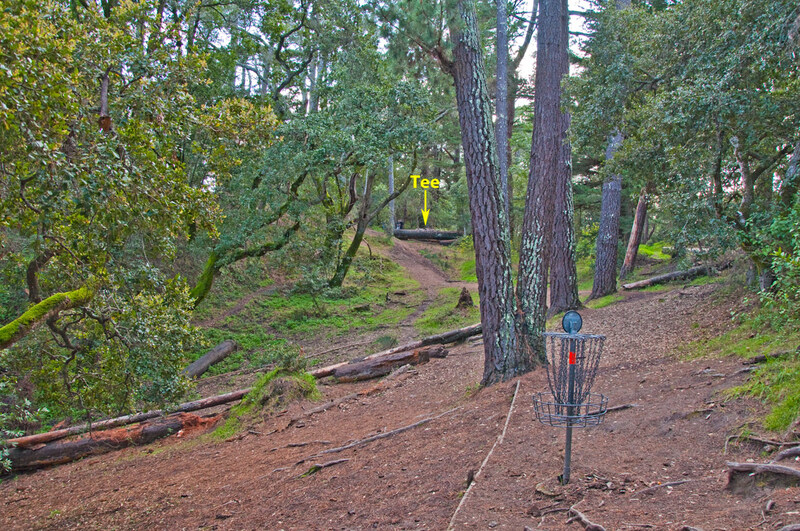 As regular followers of this blog know, DeLaveaga DGC in Santa Cruz, CA is my home course. After more than 30 years and thousands upon thousands of rounds played by its devotees, ‘DeLa’ (there’s a nickname right there!) has more than it’s share of local labels for holes and landmarks. The most famous of these is it’s final hole, #27, known as ‘Top of the World’. At not even 1,000 feet above sea level it obviously isn’t Mt. Everest, but it is the highest point within the Santa Cruz city limits, and it earned it’s name for its backdrop view of the Pacific Ocean. 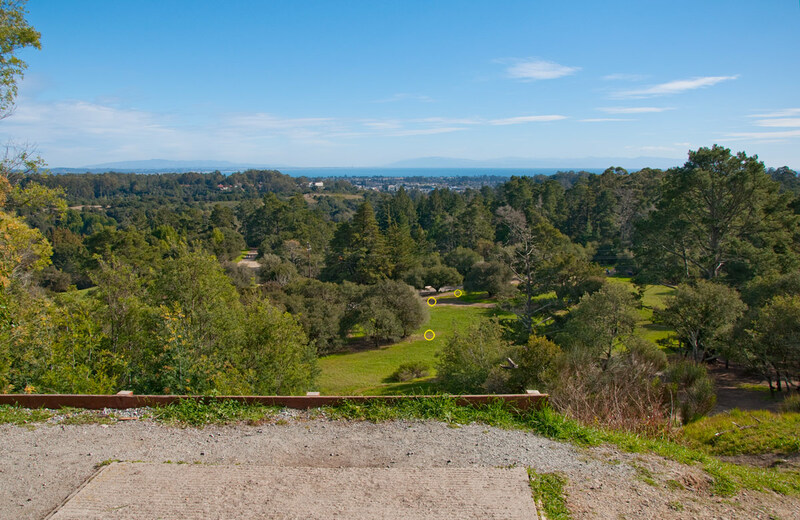 View from the teepad of ‘Top of the World’, hole 27 at DeLaveaga Disc Golf Course. Photo by John Hernlund. Hole 13 is also home to ‘Lake Maple’, a giant pothole in the middle of the otherwise flat part of the fairway that fills with water after rainy days. 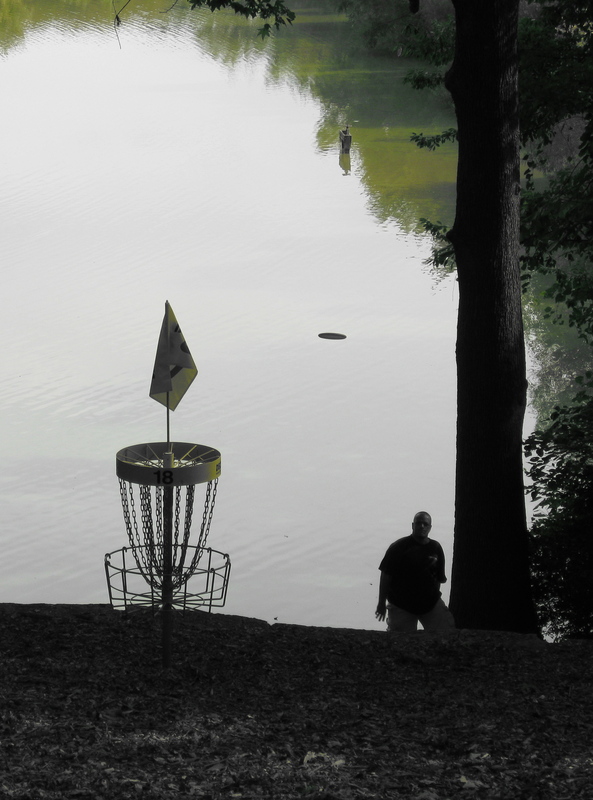 It doesn’t count as a water hazard, but is deep enough and wide enough that retrieving your disc can be a major pain. This lesser-known landmark was named for a talented older player from the 80’s and early 90’s, when far fewer people played the course and most everyone knew eachother. George Maple like to throw rollers off the tee on 13, and whenever his disc would plunge into that gigantic puddle he would absolutely lose it. So naturally we named it after him. Lake Maple. Super-short hole 17 has forever been known as ‘The Gravity Hole’, as the fairway funnels down both from tee to basket and from left to right. More often that not, if your disc catches an edge and starts to roll it won’t stop until it wedges into a seasonal creek-bed where the two slopes meet a third coming from the opposite direction. Before teeing off, you can also rub ‘The Lady’ for good luck, a very special tree next to the pad. Hole 17, ‘The Gravity Hole’, at DeLaveaga. Note how the hole plays downhill as well as sloping right-to-left (looking back toward the tee). Photo by John Hernlund. Old-timers will remember ‘Chickenfoot’, a dwarfed, gnarly tree that stuck up just high enough on the fairway of hole 19 to snag an otherwise perfect throw. Finally, there is ‘The Catcher’s Mitt’ on hole 4. Most discs that come into contact with this obstacle either skip/slide into it or strike low on one of it’s several trunks/branches. Either way, The Mitt nearly always catches the disc and keeps it within the ‘pocket’ of it’s tightly-spaced limbs. 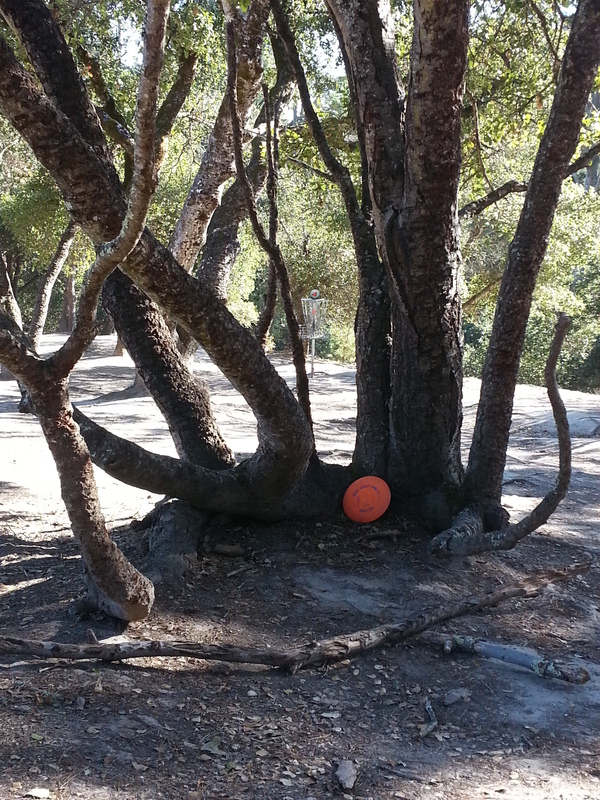 ‘The Catcher’s Mitt’ on hole 4 at DeLaveaga Disc Golf Course snags all discs that venture within its grasp. Photo by Jack Trageser. It doesn’t really look like a catcher’s mitt, but earned it’s name more for how it grabs every disc in the vicinity. I suppose ‘First Baseman’s Mitt’ would be more accurate, but it’s not as catchy (no pun intended) as The Catcher’s Mitt. 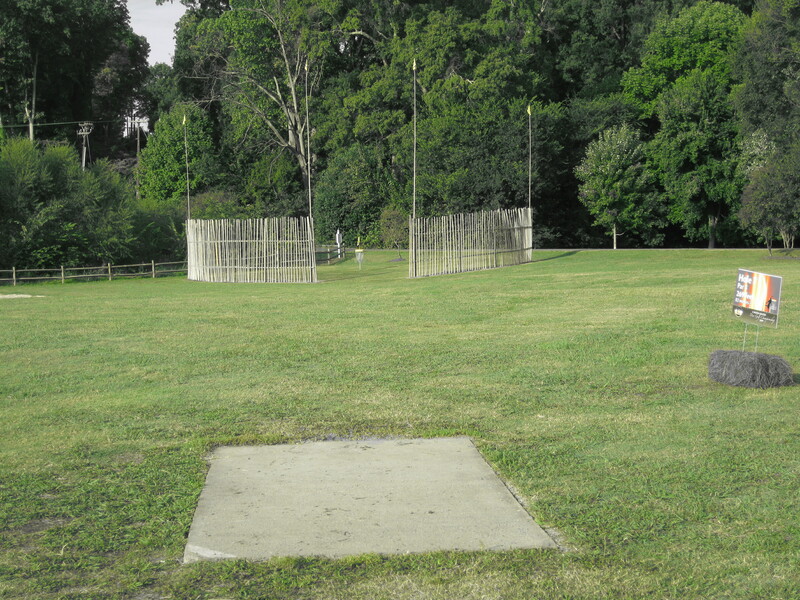 For examples of course nicknames outside of DeLaveaga, we need only look to the Winthrop Gold course on the campus of Winthrop University in Rock Hill, SC- home of the United States Disc Golf Championships. Organizers each year assign a state to be associated with each hole (this year California had hole 11, a long par 4 that killed me in 2009), but that doesn’t really count. Those names didn’t arise organically due to how the holes play or a physical characteristic of part of – or the whole – hole. But Winthrop Gold definitely has a few of those. Two of the most famous are hole 7, the Bamboo Hole, where players must navigate a bamboo fence in front of the basket; and the par 5 hole 13, known simply as ‘888’ due to its length of 888 feet. As anyone who has played this hole can attest, there is much more to this beast than its length (which, considering it is a par 5, is actually pretty short). 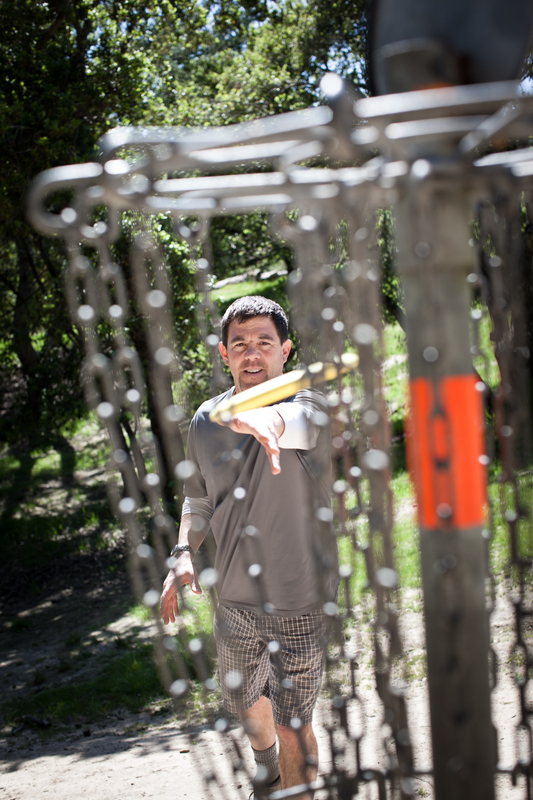 Just ask 3-time USDGC champ Barry Schultz, who was in the lead in 2013 until carding an 11. Now it’s your turn. Post a comment to share a nickname or two from your favorite courses. Be sure to explain why and/or how the nicknames came to be. 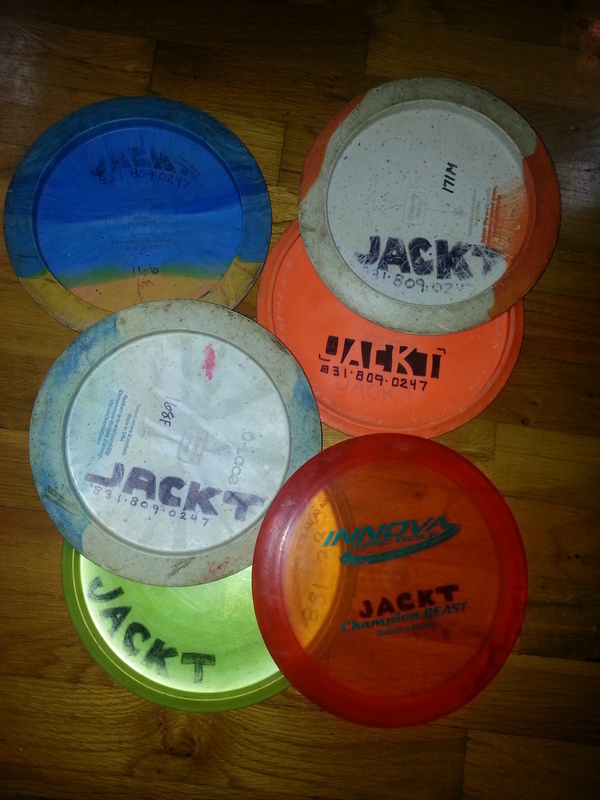 Also, if you have really good pictures that clearly illustrate the nickname, send them (along with your story) to jack@schoolofdiscgolf.com. I’ll write a follow-up post that shows the best ones so readers can enjoy examples from our entire ever-expanding disc golf universe. In a recent round at DeLa, I paused briefly to tell my friend that his last throw had tons of ‘E.V.’, but I held the comment for later when we noticed that a large group of marauders was quickly gaining on us. So naturally we . . . . what’s that? Not exactly following my meaning? Don’t worry, you’re not behind on the latest disc golf lingo- at least not yet. Most of those reading this are well acquainted with the fact that while disc golf borrows a great deal of terminology from its stick-and-ball ancestor (par, birdie, drive, putt, etc. ), the sport has a lexicon all its own as well. Words like hyzer, anhyzer and thumber, and terms like ‘chain music’ and ‘high tech roller’ mean nothing outside of disc golf (or at least disc sports). And words like ‘chunder’ and ‘shule’ – while they can be found in a standard dictionary – have very different applications in the world where golf meets flying disc. Different as they might appear and even be, in respect to the other aspects of their lives, the visitor and the locals understand each other perfectly well on the disc golf course. We’re all members of a subculture that while steadily growing is still far from the mainstream, and our lexicon of unique terminology is one of the true identifying marks about which those not yet part of the clan remain completely ignorant. And recognizing that there are regional idiosyncrasies in disc golf is merely the tip of the iceberg. A sport with endless options for creativity and amazement that also happens to still be commercially decentralized is bound to foster new and unique terms in every tiny enclave where it is played. And so it has been- in my circle, anyway (and therefore, I assume, in others). Despite what my mother always tells me, I’m not that special. I’m hoping that the rest of this post will generate lots of comments as readers write in sharing disc golf terminology unique to their regular group or at least their local course. Here are a few that have become commonplace between myself and a few guys with whom I regularly play. E.V. stands for Entertainment Value, and we use the acronym to describe a shot that was highly entertaining to watch- whether it was successful or not. A technical spike hyzer from 100 feet out that passes surgically between crowded trees exactly as planned before slamming to the ground right past the basket would have EV value, even if it rolled away afterward. Marauders are not hoards or barbarians bent on ripping out baskets and melting them down for weapons. Nothing as dramatic as that. They don’t even necessarily appear in large groups, although that is most often the case. Rather, marauders on a disc golf course are those who seemingly have no concept of the written nor unwritten rules of golf. It’s not that they’re rude. They just don’t know the rules or don’t care to play the game that way. They don’t both to take a legal stance (anywhere within five feet seems to be okay- especially if there is a tree or bush in the way), and they don’t take turns to throw. Instead there is a general continuous advancement with discs flying simultaneously and close calls galore. To players who are ahead of them, taking the game more seriously, marauders seem like a swarm of locusts swiftly approaching. Hmmm, locusts. Maybe that’s a good synonym for marauders! When you’re stuck behind a bush, consider yourself foliated (as in, blocked by foliage). 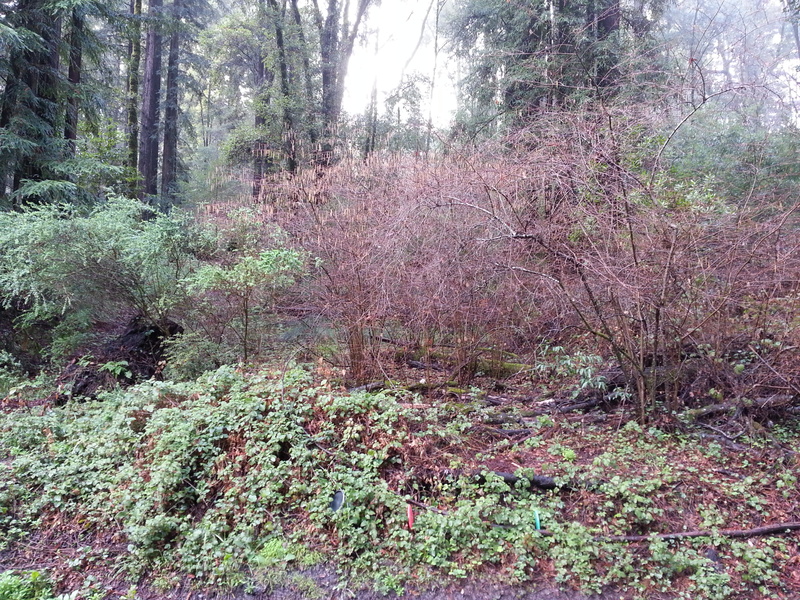 When you’re stuck deep inside a bush, with more bushes and trees all around you, consider yourself extremely foliated. It’s an easy, one-word way to explain to your buddy why you weren’t able to get more than 30 feet out of the rough. “Dude, I was completely foliated.” Note: This term only applies when the foliage is close enough to your lie to make it difficult to even get your throw off cleanly. You can’t claim ‘foliation’ just because there are hundreds of trees and or bushes blocking your line. As I go through my list here and type out definitions for these words and phrases, it occurs to me that more than one of them are novel terms for classic golf excuses. A good example is fickle factor, or for those who prefer saltier language, fickle f#% factor. My favorite application is when a player has a shot that is wide open and uncomplicated except for a lone twig that appears to be as light and thin as a pipecleaner- and somehow that twig stops his disc dead in its tracks. A more objective view might be that he should have seen that twig and avoided it, but instead he assigns the blame to the ‘fickle factor’. We also have other ‘factors’, my favorite of which is alternatively referred to as Chutzpah Factor or Scrotal Factor. It is usually referenced in regards to a shot taken that was difficult and might easily have had disastrous results. A more common way of expressing this sentiment would be to say that the shot took ‘big cajones’. Scrotal factor is the scale that determines exact how much cajones the shot required. Having to reach through several limbs and branches to execute his shot, this player has a legitimate claim to being ‘foliated’. Since the green behind slopes sharply downhill, if he goes for the basket the shot will have a high ‘scrotal factor’. Photo by Asaf. Another category not to be overlooked relates to good-natured gamesmanship between frequent competitors. For instance, my friend Alan often likes to put extra pressure on me before putts (and I occasionally return the favor). He uses reverse psychology at select times by asserting that putts inside the 10-meter circle are in the ‘Jack Zone’, meaning they are automatic for me. I assure you, they are not. Another one to mention quickly is Allenfreude. I won’t go into detail on it here, but it is related to the famous German word schadenfreude. Follow the link to a previous blog post for a description. I’m sure others can relate. As a reminder, this is the kind of teasing that is appropriate among friends only- and we have an understanding that these types of mind games are only to be used when defeat appears imminent. Don’t try this with the thick-necked guy on your course with a temper and a short fuse. So my question to you, the reader, is which of these terms do you identify with the most? Better yet, share some of your own, with a description of how and when they are used. Language is a big part of any shared experienced, and few subcultures have a richer lexicon than the disc golf community. Let’s add to it!